Every last Thursday of every month, Amsterdam-PHP hosts a meet-up with the intention of connecting minds in the tech ecosystem and providing the latest information on PHP. Each meetup is hosted by a different company; this edition will be held by TQ's very own, Scribbr, and will focus on a less technical yet equally important subject: leading development teams. Topics of discussion will include process management, recruiting, motivating and developing people and how to actually get something useful out of these dreaded 'performance reviews' you might be asked to do. Daniel Lima is a senior backend developer and will kick off the event with an introduction about the development at Scribbr. Volker Dusch is a Software Developer born in Germany and working for the CastorEDC a cloud-based Electronic Data Capture platform that enables every researcher worldwide to easily capture high quality, reusable data. He started programming with PHP in the early PHP 4 days and has over 15 years of experience with the language. Having worked on big home grown legacy applications and with new 'modern' projects he is interested in keeping code maintainable so that it can be adapted fast and easily to new requirements in growing organizations. Scribbr - Whether they're editing dissertations, detecting plagiarism, generating APA citations or writing useful knowledge base articles, Scribbr's mission is to help students graduate and become better academic writers. 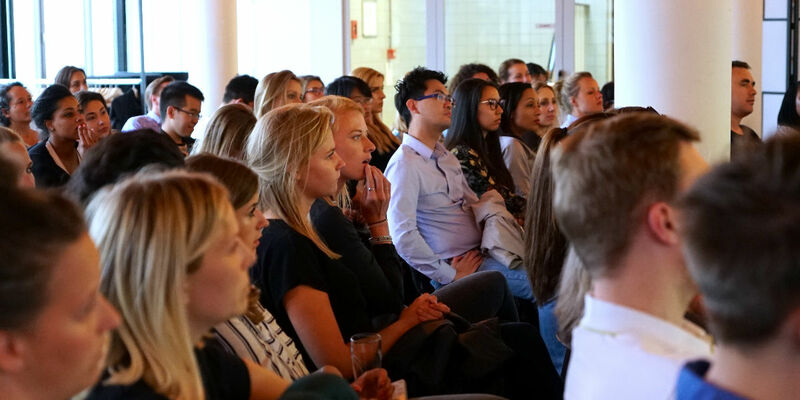 Scribbr is one of the fastest growing companies in the Netherlands, and the young and ambitious team strives to provide students with the tools they need to succeed. Amsterdam-PHP - Amsterdam is an important city in the world of PHP as it has become home to people from different countries and backgrounds seeking to settle their companies here. For this reason, Amsterdam-PHP created a user group focused on connecting and sharing knowledge with the many developers in the community.